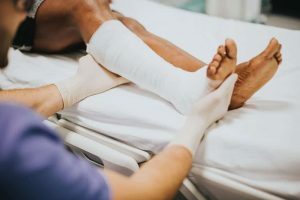 No matter what type of personal injury or workers compensation case you have, it is important to avoid some common mistakes that can harm your claim. These mistakes are made unwittingly by people all the time. These mistakes also serve to help insurance companies lowball or deny a perfectly valid and legitimate claim. Making even a slight mistake can have a huge impact on a claim. Here are some things NOT to do if you are injured due to negligence and pursuing a claim for money damages for your pain and suffering. Most lawyers charge by the hour. Personal injury lawyers do not. They charge what are called contingency fees. This means the attorney does not get paid unless the case settles. If the case does not settle you owe nothing. Therefore, not only do you not need money upfront to hire a lawyer, but you also run no financial risk if the case does not settle. Massachusetts, as well as all other states have laws called statutes of limitations. These laws limit the amount of time you have to bring a lawsuit. Most Massachusetts personal injury claims have three-year statutes of limitations. Waiting does nothing to help any case. If you were involved in a personal injury accident it is important to seek prompt medical attention. Toughing it out and dealing with the pain can only damage an otherwise valid injury claim. Get checked out by qualified medical personnel to ensure you address your injuries. Insurance adjusters are trained and expected to contact injury victims as soon as possible after an accident. The reason for this is the insurance company wants to limit your claim before you get a lawyer. They know the once you get an attorney, that they will have to pay out a fair and reasonable settlement. For this reason, never communicate with an insurance company following your accident until you have consulted a local injury attorney. Many people believe they are better served by handling their case on their own. For example, following a car accident you sustained what seem to be moderate injuries and the insurance company makes you an offer of $5000 to settle. This ar the time seems reasonable so you decide to accept this settlement offer before speaking with a qualified car accident lawyer. Soon though, what you thought was a simple back sprain or strain now is getting worse. You later receive MRIs which reveal a herniated disc. Since you already settled the case, it is too late to reopen it and you are stuck with the $5000 you previously accepted. At the Law Office of Christopher Earley, we absolutely hate when people hurt their own case without even knowing it. If someone carelessly injured you, contact us today for your free, no-obligation consultation.